Maha Cartoon TV is kids TV channel, this is India's first free-to-air Kids TV channel. Also it was first Cartoon/kids TV channel of DD Freedish platform. 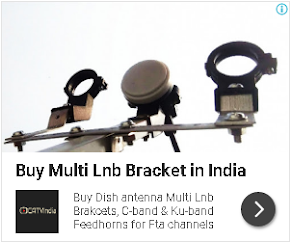 In 31st e-auction 3 TV channels won the slots on DD Freedish - Check here. Earlier from the same slot (Channel No.52) France24 TV removed and Mahacartoon TV added . But now again Maha Cartoon TV removed and TEST 404 (Vacant slot) added at same channel no.52. View Updated TV Channel List here. FEC : 3/4 chal nahi rahi ?? is that chanak list varies as per setup box?? I was excited about DSTV installation at my home that is based in the south of Pretoria, which was done easily by calling the professionals from dstvinstallation-pretoria.com and now my family enjoys watching the favourite shows together.